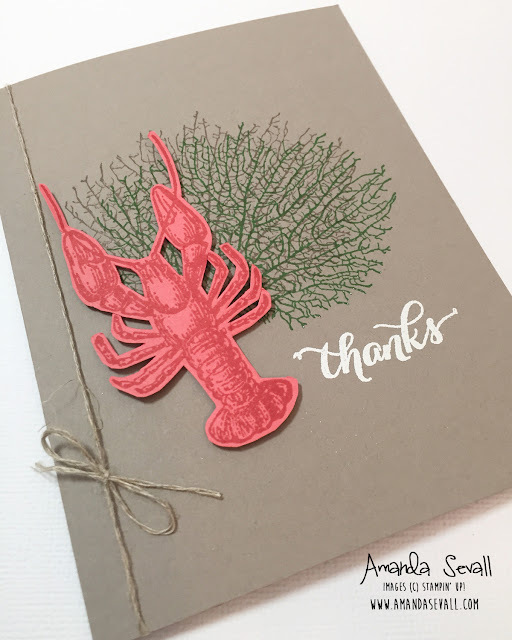 Amanda Sevall Designs: 365 Cards: Another Thanks Lobster! This is the first of many cards from me that you will see featuring our new In Colors for 2015-16! 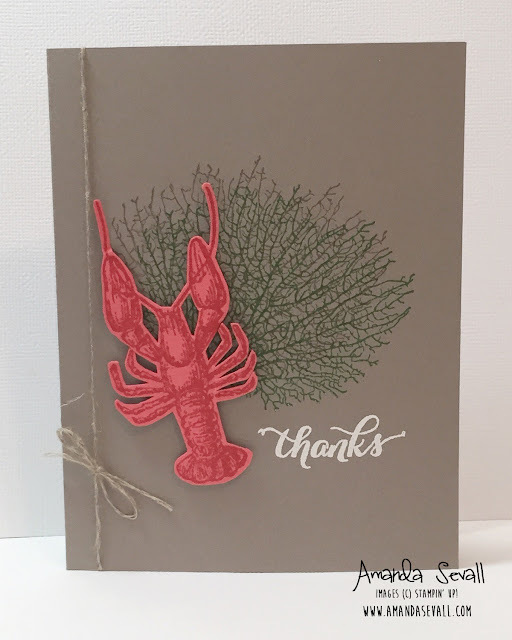 For this particular card, I used Tip Top Taupe (my new favorite neutral color!) for the card base, the Watermelon Wonder for my beloved lobster, and Cucumber Crush for the coral stamp. Aren't they gorgeous?! They will be available tomorrow for purchase.... make sure you add them to your wish list and let me know if you'd like to order some! 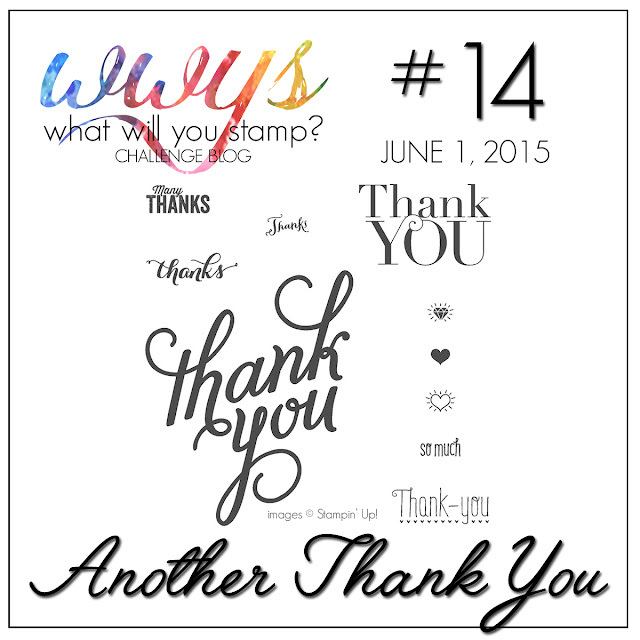 Now go on over to check out all the other awesome cards this week from the What Will You Stamp? design team.... you won't want to miss seeing these! !